The Multicultural Worship Ministry track partners with a local church in a diverse neighborhood that is working towards biblical diversity. Sojourn Music is church musicians, songwriters, and worship leaders at Sojourn Church Midtown in Louisville, Kentucky. Their goal is to serve the church by writing, arranging, and recording music to help the church to sing the gospel and express the joys, sorrows, and hopes of our faith. Each record they release is meant to serve the church both as a way to get ready for Sunday and a way to remember the gospel throughout the week. 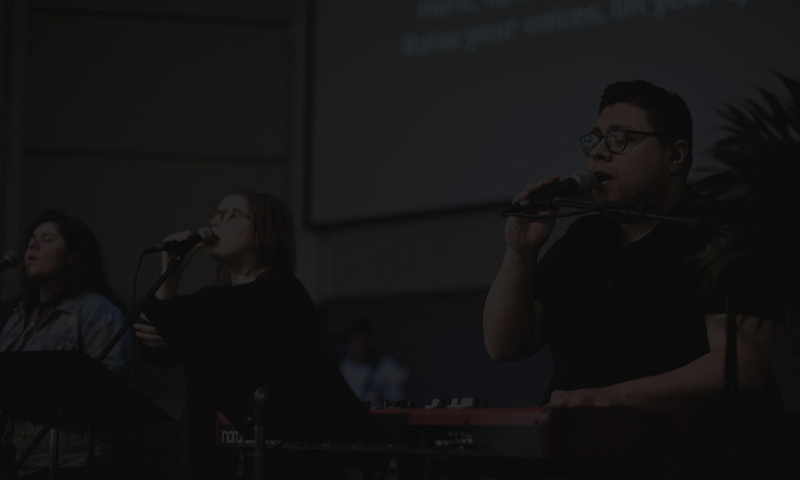 Sojourn Music provides multi-cultural & multi-lingual worship with multiple worship genres. Some examples of genres include music from Israel Houghton, Tye Tribbett, Travis Green, Fred Hammond, BiFrost Arts, Sovereign Grace, United Pursuit and more. Sojourn pulls from a large pool of very talented musicians and vocalist every Sunday. Every Sunday feels a little different, you could hear a choir one Sunday and chill hop the next. Sojourn Music brings a diversity of genres to the worship set each Sunday. * A portfolio submission is required for this track.